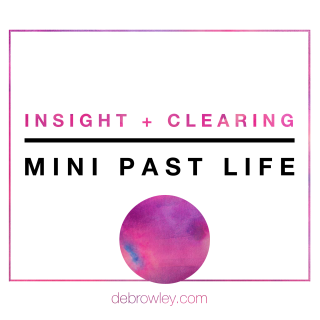 The function of a Mini Past life session is primarily to help to clear you and give you some insight into what has been activated in your space. Fill out the session form below and send through with your payment to get into the queue for yours. 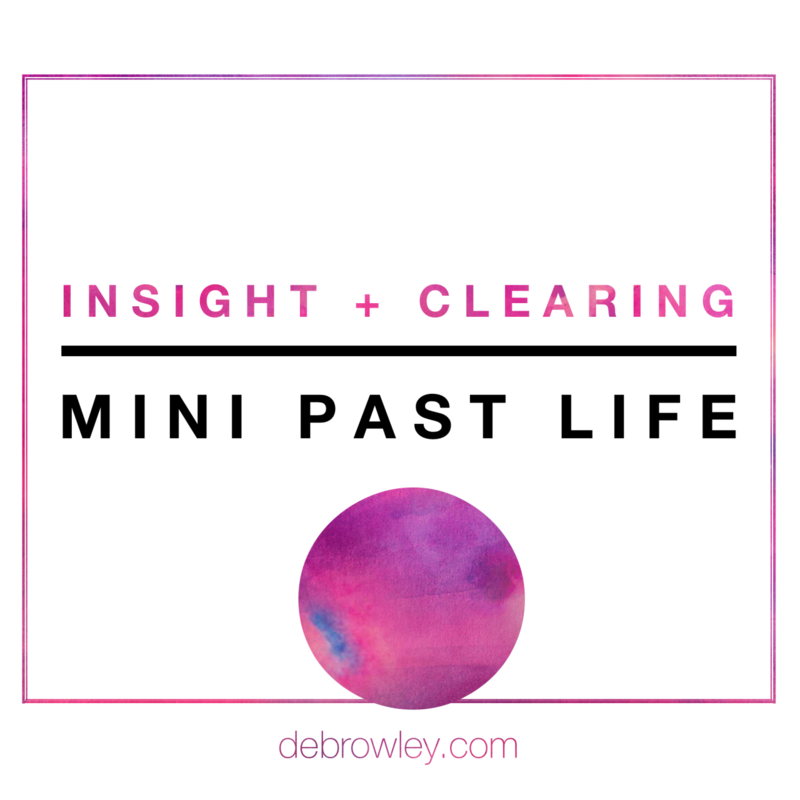 Past lives can affect us in so many ways: How we stand in the world, self esteem, in relationships and more. They can affect work, and home life and we can even carry old aches or injuries from them. Let me know what you'd like help with in the comments box below. And tick if there is anything you resonate with in the options section. I work through the past life sessions via email, and do so in the order I receive them. I expect to answer you within a few days. Thank you. I look forward to helping you. For children's past life sessions go to Your Childs Past Life here. One of my clients had a sore patch behind her ear for years. She had scans and all sorts of treatment for it. She didn't mention it in session, I worked through her for another reason, then 'saw' a past life bandage behind her ear, and asked what it was from. She said she didn't have a bandage, and as I saw it really clearly - I closed my eyes and asked what it was, then I felt a hail of bullets hit me from the right hand side. She was shot down in a plane in WW2. I asked if she was scared of flying and she said yes. I asked her which part of flying specifically bothered her, was it falling? And she said yes. It's because she fell out of the sky once before. I pulled out the bullet, processed the past life and moved her into new energy. The pain went and so did the fear of flying. It was not that unusual for me until she explained a bit more... The biggie was, she had had the pain for more than 20 years. It caused her to have a specially made arm for her glasses (which she wore every day), to avoid the sore spot. She also had brain scans to figure out the problem, she had been stuck with long hair so people couldn't see the long arm on her glasses. She was free. She gave me permission to share her story so other people could know that pain that had been an issue for years could dissolve in a few moments. SO... I described her healing to a client one day. He was a sceptic who had bravely come along for some help with a physical issue. (He brought his wife in case the weird lady was too weird.) I did his session, got to the end of it and then asked if there was anything else I could help with? I explained that in a session, if my client still has pain - it's not ok with me. I work through as much as I possibly can to completely clear all pain, no matter how long it has been with my client. He 'got it' because his state had shifted within the hour and he was already experiencing a bit of a revolution in his thinking (suddenly a former sceptic or at least puzzled sceptic, but happy to accept the results). He said 'Yes I have a sore spot that's always been there, in my shoulder.' I looked. It was a past life bullet. As I pulled it out and processed the past life he was laughing, and then... he wasn't sure what to do with himself. The pain was gone. He left shaking his head. I asked him to please make sure he didn't go home and say he didn't believe it over and over again. Because it's real, and you really do want to believe your miracle and keep it. I feel so lucky to experience the changes people can go through. There is always a little more learning and it's wonderful to watch. No. If it showed up - there is a massive chance it can leave. I've helped bodies rebuild cartilage, stopped people from needing knee surgery - the possibilities are pretty varied and quite mindboggling at times. One of my clients came with a torn shoulder and was hooked on a wall in a dungeon. She was waving her arm around in the air before I opened my eyes.